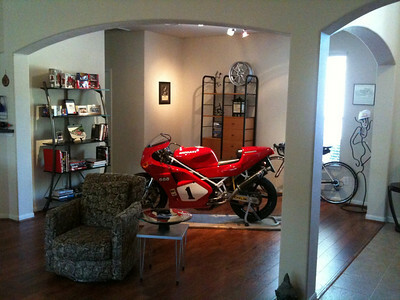 My beloved SP4 lounging around in good company in her Santa Barbara home. 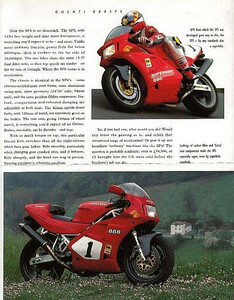 Thanks, Phil, for taking such good care of her. 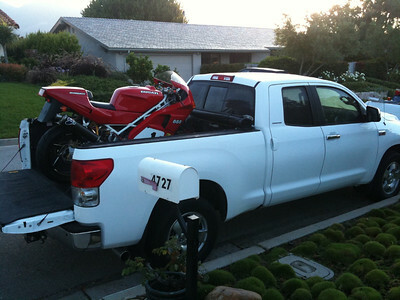 All loaded up and ready for the return trip to Texas. 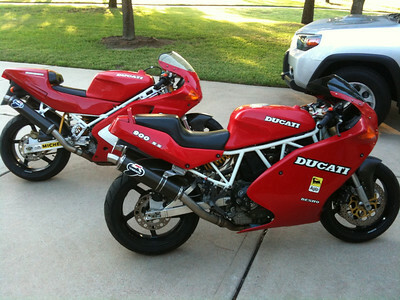 Back home and reunited with my little old SS. 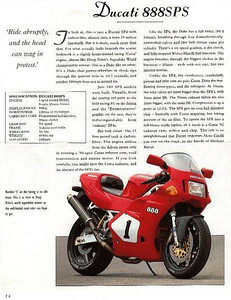 Speaking of which, I bought that one new in '91. 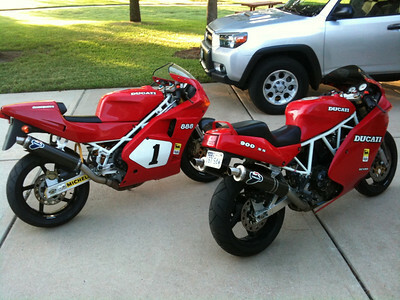 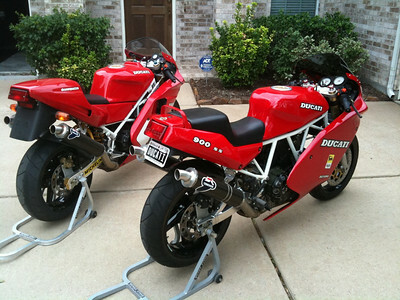 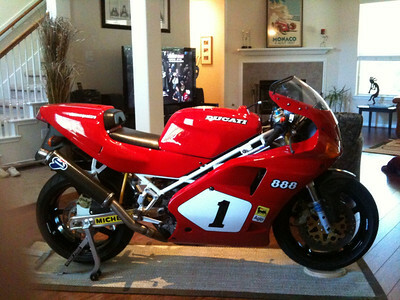 Yea, I have a thing for early white framed Ducatis. 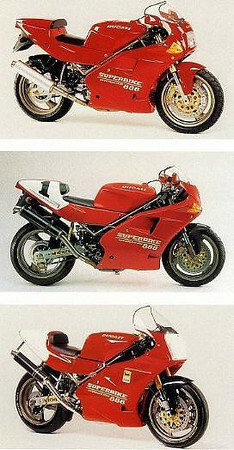 Top to bottom: '92 888 SP4, '93 888 Racing, '93 SPO. 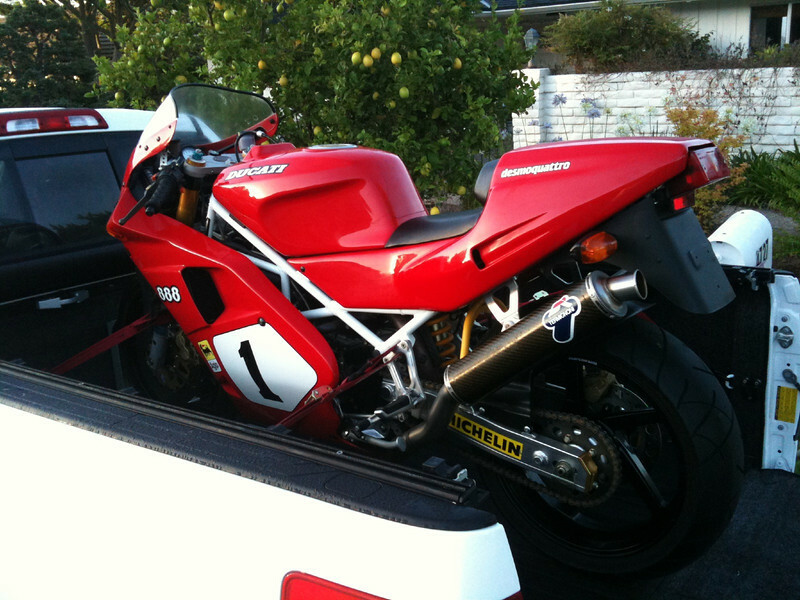 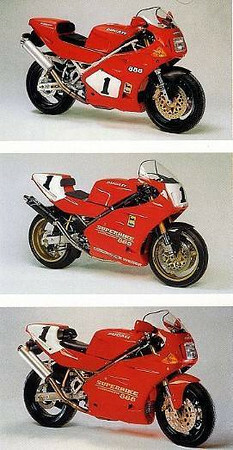 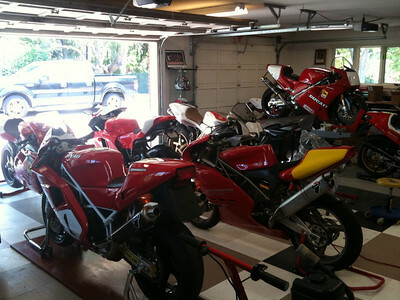 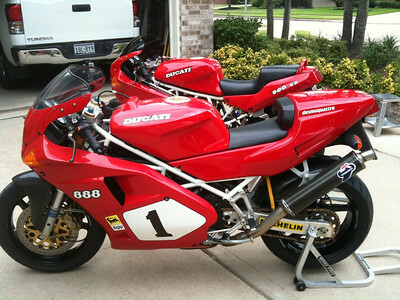 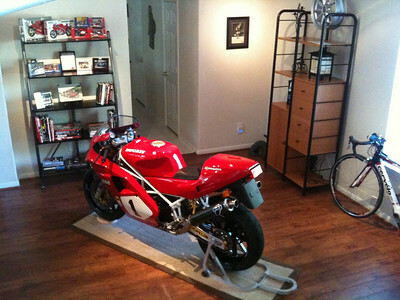 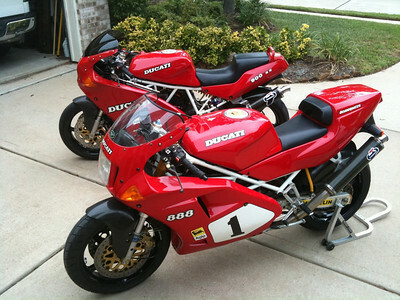 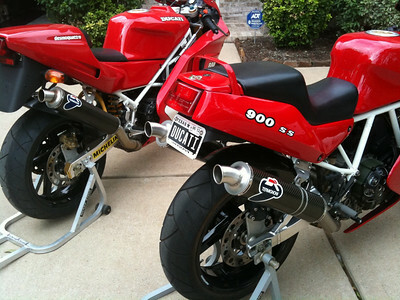 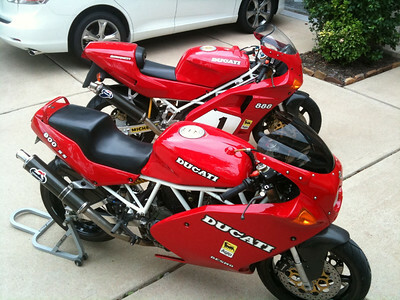 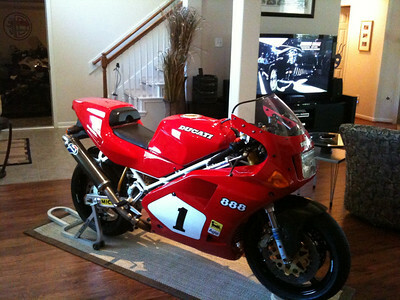 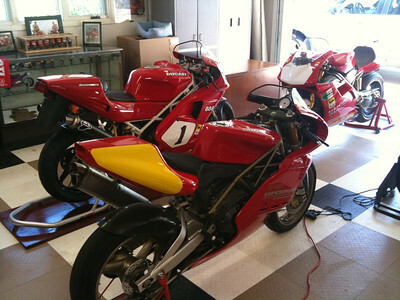 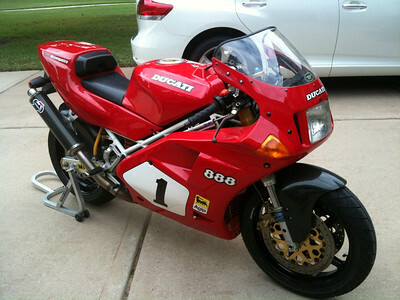 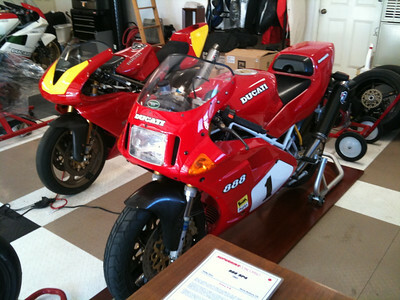 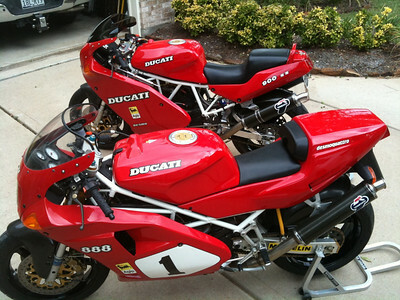 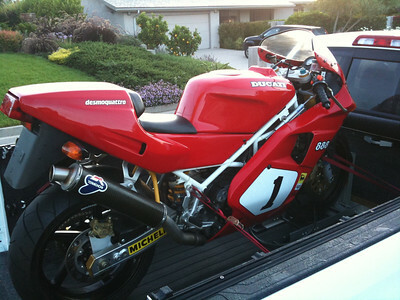 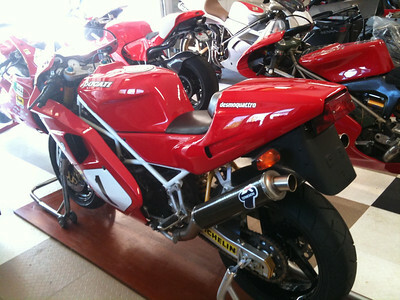 Top to bottom: '94 888 Strada, '93 888 SP5, '94 888 Racing.